Despite multiple cross-border trade deals and free trade zones, importing goods from overseas is still a complex task for many. Not only do sellers/buyers have to deal with costs of shipping, insurance and packaging they also have to deal with import costs such as duty, tax and other customs charges. One of the big issues is being able to classify goods as every good has a trade tariff commodity code attached to it. Due to the huge number of HS codes and product descriptions used in classification it is easy to misclassify. 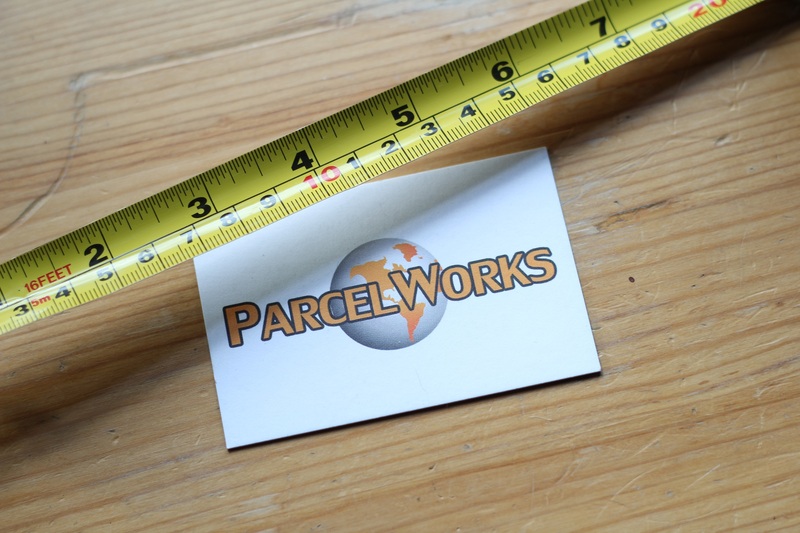 At ParcelWorks we can classify any product and then calculate and include all those potential charges and combine them in to a single shipping rate for your goods; but have you ever wondered how we calculate these charges? We use a web based duty calculator service called SimplyDuty which we connect our software to via their API. This allows us to calculate charges for over 100 destinations including USA, Australia, China, Brazil, and for UK inbound traffic. We are also able to assign HS Codes to products by categorising them using another API. With SimplyDuty.com you are also able to upload to a file of product descriptions and bulk classify the whole file in one go. Perfect for those one off delivery projects with multiple products destined for multiple destinations. There is nothing a customs broker likes more than accurate classification data. If you have any questions on duty calculation and product classification feel free to contact us directly. In April 2014 Tom Broughton of Broughton Boots contacted ParcelWorks after receiving information we had sent to his other business Cubitts. 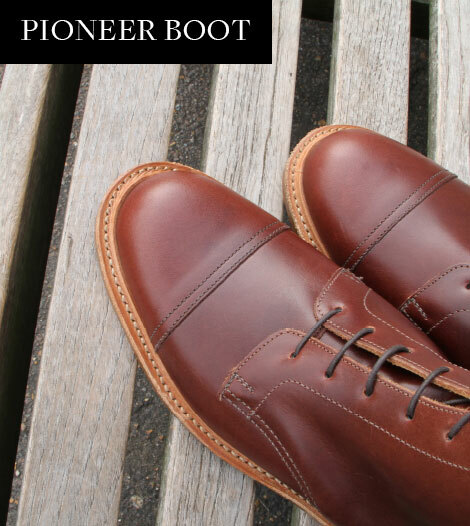 Bringing back to life the English, handmade boots that his Great-Grandfather founded in 1907 provided a great back story which clearly appealed to international investors. Tom had just successfully completed his Kickstarter campaign, to the sum of £67,522, and needed to fill 400 orders as quickly as possible. After a successful campaign, international delivery can create difficulties for new businesses as global customers can often be nervous about purchasing from abroad and be demanding. They often do not understand their own Country’s import regulations and don’t grasp the concept of import duty and taxes. This is especially true in the USA where consumers don’t like being faced with a duty bill in order to receive their purchase. This was one of the key benefits that we brought to the table compared to other carriers as ParcelWorks is able to calculate, manage and pre-pay duty in our shipping platform. Given that our network is specifically designed for B2C products, even where duty isn’t charged the customs clearance process is far more streamlined and products released from customs much faster than with other carriers. ParcelWorks was immediately able to set up Broughton Boots with their own invoice account on our extensive shipping platform and with them needing to process large numbers of orders at once, it made sense that our file upload function was used in this instance. However, to save time and help Broughton Boots process the shipment quickly ParcelWorks agreed to receive his Kickstarter orders via CSV. We then created the file required for upload, informed Tom of any questionable address formats and processed the first batch of orders. Broughton Boots made their own arrangements to drop their consignment into our partner’s processing centre at Heathrow and items were processed and despatched the same evening. The consignment had a 100% delivery success (as we have had on all deliveries in 2015) and we have just processed & despatched the 2nd batch of parcels for Broughton Boots. ParcelWorks fully expects Broughton Boots to continue selling large quantities globally with the US being their biggest single market. For a Kickstarter campaign like ours, a large proportion of orders are outside of the UK. This creates a huge minefield for international shipping – with complications of import taxes, duty, tracking numbers, confusing addresses and entirely new alphabets. Thankfully Parcelworks were on hand to help us through the process, managing it in a much more time and cost efficient way than would have bee possible otherwise. Why has Broughton Boots sold so well internationally? They are British design made in Britain. Overseas purchasers love to buy British!! Their products are of the highest quality. Quality translates into any language!! There is a great story behind the business. The narrative can cross borders and is key to Kickstarter campaigns. A while ago Edward and his wife, Jane contacted ParcelWorks as their eBay store for baby clothes was getting a lot of orders from the US. Given their product types, they needed a retail solution rather than an express and or mail solution. The eBay global shipping program was one solution but the duty administration charges seemed high, and the shipping costs could not be negotiated. With ambitions of developing their own website they were looking for a solutions they could use across both platforms. Being a small business they wanted to focus on the county where most of their international enquiries were coming from i.e USA. Our solution for them was ideal. We opened up an account the same day, after a short demonstration of our shipping platform on Skype Edward and Jane were able to manually enter their orders, calculate any duty payable and print their shipping labels. American customers are very sensitive to having to import duty and are notorious for rejecting deliveries where unexpected duty was due. Our duty managed service eliminates this issue and reduces the amount of rejected parcels. With a 100% successful delivery record to the USA in 2015 (across all our clients) our services are very reliable and retailers can be reassured further with our £50 included insurance on all destinations. For Edward and Jane, we monitored their initial consignments end to end, as we do all new clients, which allowed us to help them manage their customers’ expectations. We could also pre-warn them if there were any delays at customs (there were not). It is no secret that ParcelWorks and Collect Plus have signed an agreement which will allow a shipper to send a parcel internationally on a delivery duty paid basis by way of dropping the parcel off into one of the many Collect+ partner stores. This is a truly unique service which will also trigger the launch of ParcelWorks’ self registration system which has been in the pipeline since the start of 2015. Speaking to potential new customers at the eDelivery Expo at the NEC Birmingham on 25th March 2015 Managing Director, Jason Kelley, outlined the reasons behind using a parcel store network and why Collect+ were the preferred partner. Why are parcel stores important to ParcelWorks? Parcel stores are fast becoming a requirement rather than an option for SME retailers and market place sellers. Collect+ solutions are relatively cost effective and eliminate the uncertainty of next day collections and give the sender much more flexibility. It also helps that this solution will work well with p2p shipping as well. It really is about fulfilling our promise of “Making International Parcel Delivery Work For You” for every level of shipper, be it 500 parcels a day or a single parcel. Why Have You Chosen Collect+ as your parcel store partner? Collect+ have a mature parcel store network and have a visible brand which is known by most involved in ecommerce. The strength of the brand is equally as important as the number of stores it offers and will add extra credibility to our new services. All in all it provides the strongest ‘end to end’ product of its kind in the market at the moment which can only be a good thing for us and for Collect+. Is this a fully integrated solution? Absolutely. A user will be able to register for the cloud based platform on the website, create an order, calculate duty and print off a single label ready to be dropped off at a store. Simple, clean and effective; which is the way we like it. Are you using any other parcel stores other than Collect Plus? As it stands we have no plans to. We do have a parcel locker solution starting shortly but this is not an integrated solution so what we have with Collect+ is really unique I believe. They cover such a large number of stores our customers will have more than enough to choose from using only their network. We are currently integrating and we will be testing shortly. As with all our new services they will be tested internally first and then beta tested with a small number of clients before release. Keep checking back for latest updates or follow us on TWITTER for any new service releases. We all love America. Disneyland, the NFL (GoPats!! ), Vegas, New York City, the list goes on. However, when it comes to sending parcels to the US the love affair can stop for some people. This simply because of the issues with duty and taxes. With the United Kingdom being part of Europe sending items with in the EU is very straight forward. However, when you ship outside the EU to the rest of the world, suddenly you are faced with a whole host of taxes, thresholds and allowances. The problem with the USA is that the allowed order value for imports is fairly low. The official current threshold is $200. Meaning if you ship an item which is valued over $200 (£131 at current exchange rate 4/1/15) your item will incur a duty charge. This threshold is quite low compared to other countries. For example, if you were sending a parcel to Australia you would have an allowance of circa £500 ($1000AU). Not only is the charging threshold quite low but the amount they charge differs by item and even composition of the item. This means that products you or I would consider to be similar will often have a variance in the rate of duty charged. You can read some further information on the USA shipping service page. Quite often, given the stringent checks made, parcels are queried at customs and can be subjected to customs’ own classification and valuation. Often resulting in the customer receiving the parcel having to visit the depot to pay the duty in order to release the parcel. This is by far from ideal for UK retailers. The customers buying their products want to know the total cost of buying an item and this includes any possible charges. Just by offering a duty paid solution retailers will attract more international customers and ultimately sell more. At ParcelWorks our retail clients (and individuals for that matter) have the tools to calculate duty and classify their products in out bespoke shipping platform. This streamlines the whole journey of the parcel when sending to the US. The ParcelWorks’ system automatically applies the Harmonised Tariff Codes (HTScode) to the order in manual order entry for USA parcels and this is sent to the customs broker in the US. This also ensure that you do not have complete an additional ‘commercial invoice’ which saves a vast amount of time for the sender. So sending a parcel to the USA can be as simple as one chooses to make it. 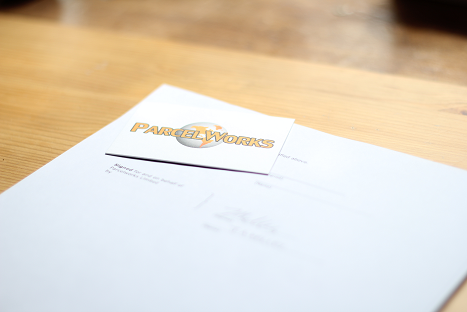 Using a duty managed carrier like ParcelWorks will truly help you sales. “Delivery” is highly significant part to any business & when making eCcommerce sales there are many studies that indicate that handling fees are one of the main reasons why shoppers abandon their shopping cart. ComScore released results in December 2011 of a holiday survey, which reported that “36% of online shoppers would not make a purchase online unless they are offered free shipping”. “42% said that shipping was of great importance” and that they sought out free/good shipping deals. Online retailers have always been aware of the concerns of which customers have concerning shipping costs. According to the same ComScore study over half of all online transactions in 2010 included free shipping over the holiday period. Discounts on shipping are not just being met during holiday seasons but are being offered by retailers all year round. If considering offering free shipping, be aware it doesn’t always work for all eTailers. If inclusive free shipping isn’t an option for your company there are always other options it is important to find the correct one to suit your business. As a retailer, free shipping can automatically increase online sales. Offering free shipping can also increase the size of the order especially if retailers set a minimum order value. According to the survey done by ComScore it can increase the company’s profitability. “46% of online sellers say that offering a free shipping service did increase their sales” and nearly one third said it didn’t make a difference. If you consider offering free shipping it must be remembered that profit increase yet instant come at a cost. There are a few long term gains when offering free shipping these are that you will often receive new customers as the free shipping is a great way to influence them to buy form your site. Often customers will recommend your site for the free shipping deals to people they know leading to new business and sales. Whilst free shipping is a great way to gain new customers and keep old ones it isn’t a way to compete in the business market. Many retailers are now offering free shipping, this makes it unlikely to see a dramatic rise in sales however will level the playing field with other competitors and allow you to keep your existing sale levels. Obviously when offering free parcel delivery to the USA the merchants lose operating margin due to the absorption of shipping expenses. Over the last decade there has been an increase in the price of shipping. Retailers can still offer different ways in which to send parcels allowing them not to make such a loss when paying out for delivery. Retailers can offer an economy service that will significantly reduce the delivery costs however could mean slower delivery times and in some cases a loss of order tracking. When offering free shipping there are also other costs involved that need to be taken into consideration such as extra programming and marketing. It does depends on what type of shipping you decide to offer but any change may require substantial amount of programming in order to make the system functional. If you decide to add free shipping as a way to increase sales this will work however the cost involved in generating awareness of your offer must be considered. You may also have to consider the loss in which you may make when offering free shipping to customers who would have ordered from you anyway and paid the shipping cost. The approach of free shipping is a very attractive offer to customers but isn’t always an option for e-retailers. Retailers that generally ship small to medium sized goods wont always have the negotiation power that bigger company’s who sale vast and big items will have with negotiating delivery deals. •	Margins can play a huge role in which shipping option you decide to offer your customers, many items in which you sale will offer varied margins allowing you to offer different shipping deals. •	If choosing free shipping restrictions are important to consider as the larger/bigger items will cost more to ship. •	To cover the cost of free shipping retailers normally offer free shipping on certain orders on or above a certain value. •	Retailers must make it clear when offering free shipping if there are any restrictions. Certain areas may cost more to deliver to this must be taken into consideration. (I)	Free shipping on everything – For retailers who ship smaller and lighter weighted products it is generally easier for them to offer free shipping on all of their goods. (II)	Free shipping with minimum thresholds – This is more of a common choice for retailers this allows them to put free shipping only on certain order values hopefully creating more sales and creating less risk. (III)	Free shipping on certain items-many retailers that’s decide to offer free shipping will only do so on certain items. The items in which the retailers choose to ship for free are generally the ones that have the largest margins. (IV)	Free shipping at certain times of the year – Free shipping periodically is very popular with retailers as this is when more sales are made and the market becomes more competitive. 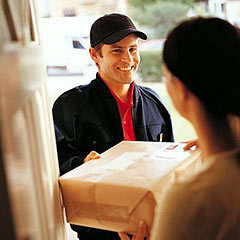 (V)	Free shipping to certain locations – Retailers will often offer free shipping to a wide range of areas. There may be some restrictions depending on the location and viability of delivering a parcel to it. (VI)	Member Programs – Many bigger companies re offering an exchange of an annual fee to low the customer to receive free shipping all year round. (VII)	Loyalty programs – To try and increase the lifetime value of customers retailers often offer exciting customers special deals it terms of shipping. (VIII)	Add free shipping into product price – Some retailers choose to include the delivery costs in the product price whilst still advertising free shipping. (IX)	Free shipping on returns- This is an appealing choice for buyers. This advert focused on young boy’s friendship with penguin. Monty longs for another penguin to love so little boys gets another toy penguin for Christmas. This advert is about a family all coming together from all over to surprise their mum. She arrives home early on Boxing Day morning after working a long shift as a nurse on Christmas day to be surprised by her whole family. The Advert is based during the war and is about the Germans and English coming together and sharing a game of football on Christmas Day. This advert follows a schoolgirl who is asked to make something for the gingerbread stall at the school fair. It watches the young girl visit Waitrose to collect the ingredients, whilst here she asks the lady fro help/advise. When she makes the gingerbread biscuits she sales them all at the school fair but keeps one back .The one she keeps she takes to Waitrose and gives it to the lady who helped her. The advert follows children looking around a closed department store for presents that have been left for them. It mainly follows a little girl who can’t seem to find her present, she’s about to give up looking when she finds a present under a bed. This Advert begins with watching everyone starting to prepare for Christmas. As the advert goes on we see people turning all sorts of lights on some are on their houses some trees and even boats. We then see a Tesco all lit up in lights whilst people are celebrating around it in flashing hast. Follows several different people and families as they all start to get ready for Christmas day, they all take turns to sing along to the song Its beginning to look a lot like Christmas. Television presenters Ant and Dec both star in the advert. Advert shows how Christmas is spent in many different ways. The advert shows us a brief insight into peoples different Christmas lunches whilst showing us all the lovely food you can get from Aldi. Recently the BBC reported on the minefield that are the various methods used by parcel carriers to calculate the cost of your shipment. Some carriers charge by ‘volumetric’ weight meaning they take into account the physical size of the parcel not just the weight. The theory being the larger the parcel the less of them they can fit on any one mode of transport on any single journey. This made sense in years gone by when data available was limited and being “complex” would be seen as being credible. Much of it, however, allows carriers to charge more than really is warranted given the weight of the parcel. However, times have changed and at ParcelWorks our customers want simple solutions to simple problems, namely getting a parcel from A to B as quickly and cost effectively as possible whilst remaining reliable. Different carriers have differing maximum dimensions allowed and some calculate volumetric rates using vastly different multipliers. One carrier’s small parcel is another’s medium parcel. The confusion for customers is endless. Whilst we can’t control all the various providers shipping domestically we are working towards making ParcelWorks as simple as possible for our clients who wish to send a parcel internationally. For example; our ParcelWorks Plus service, which allows users to ship to over 30 countries worldwide and pre-pay any duty charges, calculates the parcel shipping rate on the dead-weight of the parcel with a maximum parcel size of 40x40x40cm. This ensures that if the items you wish to send fit with in those dimensions you will pay a rate based per 0.5kg. It doesn’t get more simple than that. However, we also understand that sometimes you make wish to send a gift or product which doesn’t fit in 40cm square box so we can allow you to extend one length to 1.2m as long as you still fall with in the same cubic volume (i.e 40x40x40cm=64 litres). Even in this case you still will be charged by KG weight. We are aiming to roll this dead-weight pricing out to our other services where we will continue to work with our service providers to make the whole process of sending a parcel abroad not only as simple as it can but as simple as it SHOULD be. 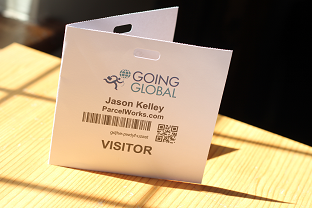 Over the last few months we at ParcelWorks have been attending all the various ‘going global’ events which sprouted from the Government’s push for exporting for growth. UK Trade & Investment have been attending and hosting multiple events across the country throughout 2014 in a bid to encourage UK businesses to export more. Naturally we fully support this endeavour. As ParcelWorks helps businesses to ship internationally we have been engaging at these events, meeting industry partners, retailing clients and 3rd party suppliers. We have met a whole host of businesses, some just starting out in eCommerce, and some that have had a UK presence for a while but are looking to venture into the international market place. Having attended ExCel events and smaller events hosted by industry consultants on behalf of the UKT&I it is clear that no one is taking exactly the same approach to eCommerce. Some are using market place, some are multi-channel, some are pure play, some are really pushing Omni-retailing and some are just establishing a web presence in a niche market. The only thing they all had in common was the realisation that international e-tailing (for want of a better word) is definitely the future. The latest facts and figures on international eCommerce show exactly why everyone has been getting behind this programme. The UK currently has a £720m online trade surplus and by 2020 it is estimated that over 40% of UK sales will be international. That 40% is potentially worth £28bn to the economy and even the smallest retailer can benefit from this. It is estimated 87% of online searches from outside the UK go to small and medium sized retailers with only 13% going to the large retailers. This is great news for the entrepreneur and SME. Shipping to the US is still a number one postal destination outside of Europe given its top position in the world for number of households with disposable income above $300,000 per annum. However, China, Australia, Brazil & Russia are all rapidly expanding destinations to export to. ParcelWorks can ship to all these destinations regardless whether you are an eBay seller, a SME retailer or multi-channel retailers with national presence on the high street. We will continue to attend, and hopefully in the near future host, these types of events as we fully support the British businesses in their quest to going global. ParcelWorks is very pleased to announce that the development of our carrier platform has been signed off and was started on Monday 23rd June. Our multi-level solution will allow users to ship internationally in a cost effective manner. We will be offering some of the best tools on the market. Users will be able to track their shipments end to end and pre-pay duty where necessary. Auto-schedule manifest uploading will save time for the large shipper and with a whole host of integration options in the pipe line we are bringing a full retailer solution to the masses. Delivering parcels internationally can be a logistical challenge but by using ParcelWorks you can be sure you are using international fulfilment partners who know what they are doing and are tried and tested with annual volume going through their systems well into the millions of parcels. International parcel delivery to countries such as China, Brazil, Australia and Russia use to be only accessible via expensive couriers but at ParcelWorks we have thrown that business model out the window and our core focus is bridging that gap between a mail provider and a courier. This allows us to offer all the track ability and reliability of a courier but at mail prices. It’s great news for b2c retailers and great news for c2c customers who just want to send a parcel to their relatives overseas with minimal fuss. The first test parcels are due to be sent in July and we are already taking retailer enquiries. Please contact us for more details.